Paracombe Premium Perry was born in 2012 and is the initiative of Damian McArdle, a 4th generation pear grower and 1st generation Perry maker. Damian has been making award winning ever since, sourcing the finest tree ripened pears from his family orchard, Chamberlain Orchards in Paracombe, South Australia. Paracombe Premium Perry was established after winning multiple awards including many first places in South Australian country shows. Damian takes passion to a new level, living and breathing everything pear shaped. With creative flair, the self taught Perry maker creates the finest hand crafted Perry using the best quality fruit, unique processes and minimal human intervention. Paracombe Premium Perry is strictly 100% South Australian Owned, Grown and Produced, with NO CONCENTRATES, just 100% FRESH SA JUICE. Please fill in the contact form below or call and visit us here in our office. Open by Appointment Only - please ring. All made using no concentrates, just 100% fresh juice, love and passion. The Berg is a unique sweet South Australian Perry, made with tree ripened Lemon Bergamot pears. Once one of the finest eating pears only grown in SA, they now face extinction so we have saved our plantation to produce a Perry like no other. Not even the Vics can match this one! Eighty years ago Errol Chamberlain created Chamberlain Orchards. Four generations later, great grandson Damian uses the original trees to produce this semi dry Perry on the original orchard. Made with tree ripened pears. Back in 1896, an Australian named Charles Henry Packham developed a cross between a ‘Bell Pear’ and a ‘Williams’, soon to be called ‘Packhams Triumph’. For the last eight decades we have perfected growing the variety under the guidance of Erroll, Ron and John and now created a Perry which is a Triumph in itself! 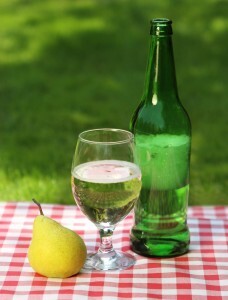 The creation of every pear begins with a bud. During the sunny spring days in Paracombe the bud blossoms into five perfect petals. At this point Chamberlain Orchards becomes a beautiful sea of white, as it has since 1932. This Perry is a reminder of the Perfect 5 – that things only get better! Full flavoured, original style Perry. will you be treated to today? Damian has won multiple awards for his Perry and also his innovative ideas. Over two years at the Gawler Show, South Australia’s largest country show. Backing up two years in a row with first places and positive feedback from a range of professionals inspired Damian to establish Paracombe Premium Perry. 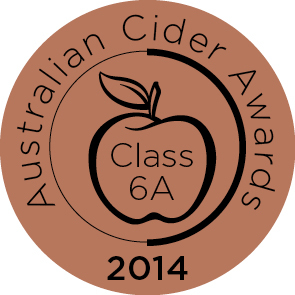 Paracombe Premium Perry has been awarded bronze medals for both 'The Triumph' and the 'Perfect 5'. Now making three out of our four perry styles are current national award winners! We couldn't be happier with the results. Damian was awarded the Ag Bureau of South Australia’s Peter Olsen Fellowship for Young Farmers. Damian was awarded this for his vision for value adding and creating a new market for juice grade fruit in a struggling market for growers. Damian will be travelling to the UK, Netherlands and Italy in June 2013 where he will have a one on one Perry making course with world renowned Cider and Perry maker, Peter Mitchell from Mitchell Food and Drink. Whilst in the UK Damian will also be visiting Tom Oliver from Olivers Cider and Perry, Skyborry Cider and Perry and Rathayss Cider and Perry. Agricultural Bureau of South Australia Inc.
Southern Australia Durum Growers Association Inc. In 1932 my Great Grandfather, Errol Chamberlain left his everyday job after being told his health was inadequate to continue. 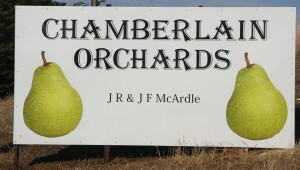 Errol’s life then went pear shaped as he started planting a pear orchard soon to be trading as ‘Chamberlain Orchards’ on a block of land in Paracombe, South Australia shortly after. Till this day, Chamberlain Orchards is still trading and those first pear trees that Errol planted in Paracombe are still producing fruit for the fresh fruit market. Ron Chamberlain, Errol’s son grew up on the family orchard. Ron was the second generation pear grower and was an industry leader in his time. Ron won many awards at the Royal Adelaide Show for our pears and generated processes that we still use to this day to prolong the life and quality of the fruit we produce. In 1985 John McArdle started working at Chamberlain Orchards after earlier days as a share farmer. John married Ron’s daughter Julie and together brought up their three kids on the 50 acre Paracombe pear property. John spent a lot of time modernising the pear orchard and planting new plantations to help take our pear production to an average of 375,000kg per year. I once asked dad if he enjoyed the orchard life, his reply was ‘I’m not sure. I have been wondering if I enjoy it for the past 25 years.’ It can’t be too bad dad! 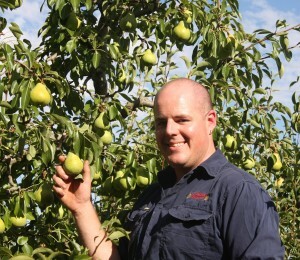 In 2010 Damian returned home to Paracombe to manage the family pear orchard full time after completing his trade as a diesel mechanic. Damian and his wife Amelia have spent countless hours looking to diversify the family’s pear business and cement the years to come for many more generations. Damian established Paracombe Premium Perry in 2012, on the 80th anniversary of their families business ‘Chamberlain Orchards’.